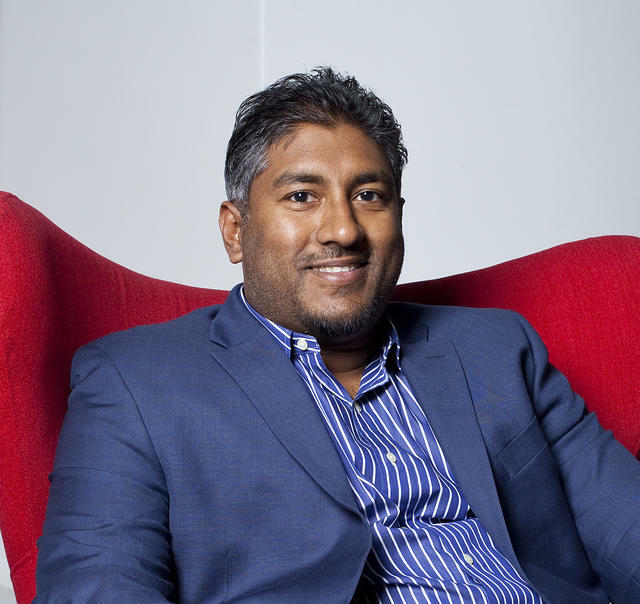 This article is by Vinny Lingham, co-founder and CEO of personal identity protection startup Civic. He’s founded and led three other companies, including mobile gift card company Gyft, which was acquired by First Data Corporation. In the decade since, Musk has methodically checked each box, save his cheeky “promise” not to tell anyone. He built the Tesla Roadster, which made way for the Model S (and slightly more expensive Model X) and now the Model 3. Over that stretch, the company developed electric power generation technology not only for vehicles, but also homes, businesses and utilities. Of course, these are guideposts, not the full odyssey, as the rundown becomes a simpler story with the sweat, sacrifice and serendipity removed. Being always told to think big, the temptation for a founder — especially this fellow South African entrepreneur — is to immediately aim for the level of ambition of Musk’s end goal rather than draw guidance from his process for realizing it. It’s not an easy system to execute, let alone internalize. I started my first company the year Musk founded Tesla, and it’s taken me until my fourth company to feel as if I’ve got a clear vision from the start. Musk likely isn’t the first founder to apply this methodology (though likely among the most famous), nor will he be the last. To reference the approach, I’ll offer it a name: recursive product strategy. 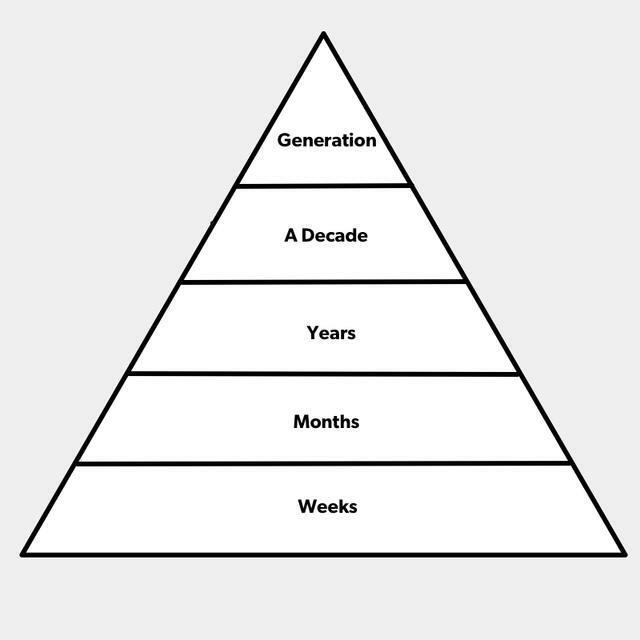 Here’s what I understand it to mean: to work back from an end goal — five, 10 or 50 years ahead — until you can hit inflection points that propel your company and its customers to the next stage, while ushering both toward the end goal. We push hard through companies — and life — from start to finish, so too few pause to design either in reverse. In the Tesla example, Musk begins with the first step (building a sports car) versus his listed end goal (building an affordable, zero-emissions, electric car). When presenting a vision, it’s easier for people to digest a plan when starting with its first step or incarnation. At the time of his blog post, most of us could better envision a premium sports car, than wrap our heads around an affordable, luxury, electric vehicle. However, I’m willing to bet that he constructed his master plan in the opposite order. In other words, he came up with the grand vision and backed into an opening gambit he would need to reach it. In essence, he extracted the first step from the larger vision. OUR CONTEXT: Like Musk, my co-founder and I grew up during apartheid, albeit on opposite sides of the oppressive system. I was born without the right to vote, but, thanks to Nelson Mandela, that changed. The political transition was anything but smooth, and I realize how powerful, but delicate a democracy can be — not only in South Africa, but around the world. BIG ISSUE: There’s abysmal civic participation, especially around elections. Worldwide, voter turnout has been on a continuous decline — and about 20% in the United States. Increased spending helps voter turnout, but with strong diminishing returns. The cost to run an election — even at a local level — can be prohibitive. OUR GOAL: To enable a delegated democracy at scale. To engage voters by empowering them to entrust their vote to a registered delegation of relevant domain experts versus an individual politician who may or may not have specific expertise in the issue. What’s needed: Receptive stakeholders — government, citizens, constituents — to participate in a delegated democracy. An accessible online platform to connect and allow citizens to safely, accurately and reliably allocate their vote on demand and at scale. Why not now? There is no legal ability, cultural familiarity or technological platform for citizens to vote online. Citizens are tied to their polling places or registered addresses. STAGE 4: To fix the “person-not-present” challenge of those not voting in-person. What’s needed: Endorsement and adoption of mobile voting platforms by governments. Why not now? Agencies can’t verify identities of people on the other end of devices. STAGE 3: To build a product that securely verifies the identities of millions of people. What’s needed: A platform that can bind people to their electronic devices to a nearly perfect degree of accuracy. Why not now? No government or company has been able to successfully build it yet. For example, the US government is under fire for its massive biometric database, known as Next Generation Identification. Facebook doesn’t collect Social Security numbers nor does it verify identification information. It mainly constructs identity through social consensus, which isn’t sufficient. Even for issues as basic as name, it can falter for this purpose; for instance, I go by Vinny on Facebook, but my legal name is Vinodan. In a recent survey we conducted, we found that less than 10% of respondents would consider giving their social security numbers to any social network. STAGE 2: To create the largest network of personal identification data. What’s needed: Trust from the consumer, which means protecting data first and foremost. A network where user data and authorization is decentralized — and not stored on company servers — so both the customer and company are less likely to be targeted or hacked. Ability to provide their personal information and a brand that’s recognized and accepted worldwide as a reliable form of digital identification. Why not now? The time is now! Consumers are worried about data breaches. The paid ID protection industry has millions of people paying a fixed monthly fee for protection. If offering the same or better protection for free, wouldn’t you get more people signed up — and create a powerful network of consumers? STAGE 1: To offer a free product to protect personal identification information. What’s needed: A mass market consumer product that solves the pain point of identity theft and abuse, elegantly, simply and always free — for life. Why not now? The time is right. Enter Civic. Pick a universe to dent. Universes are all different, but dents should always be noteworthy. When I started Yola in 2007, we wanted anyone to be able to build a website without needing the technical skills to do so. Looking back, it was an admirable vision, but not a big enough of a universe. We didn’t think carefully enough about margin pressure and multiple inbound competitors — such as Wix, Weebly, Shopify, GoDaddy and Squarespace — crowding the market, which is still barely more than the $1 billion in revenues across the entire industry, even after nearly a decade. It also wasn't an industry where anyone could build a moat to protect themselves and even if they could, the market was too small and overtraded. I took a different tack with Gyft. At the time, gift cards were a $125 billion industry, of which only 0.1% was digital. We wanted that ding to become a dent. If we could grow that digital percentage to 10% over five years, we’d have a crack at making a visible mark on a huge market. The questions were: how can we get consumers to ditch plastic in a digital age? Could we build a moat to protect ourselves from competitors? Swing a wedge to make a ding. Before there’s a dent, there’s a ding. It takes some heavy, persistent swinging to make a dent — and, for that, you need a wedge. It might be an unfair advantage, niche market or economy of scale, but the purpose is the same: to break in and maintain that edge. For Gyft, that wedge was a digital wallet. It was a way to upload physical cards to store currency digitally so that it’d remain accessible. Physical gift cards are often misplaced or lost; at least $20 billion in gift cards go unused every year. Of course, we couldn’t rely on just one wedge, so we banged away with many, this time in the form of product features: balance inquiries, loyalty points for retention, additional payment options like Bitcoin and more. Through the wallet, we discovered one of the most valuable — and unexpected — use cases: buying digital cards for oneself for budgeting and other purposes. Look to adjacent markets to place your first swing. I’ve learned that one person — and in most cases, one company — can’t swing hard or fast enough to create a big enough dent in the universe. Before we started swinging, we mapped out the markets where others might swing a wedge with us. For Gyft that meant, designing the digital wallet to be integrated online or at the POS for every store, SME or corporation. A digital wallet is as powerful as where it can be used to spend its balance. The more adjacent markets we could serve, the more our customers would swing the wedge on our behalf. However, that didn’t entail developing different wallets for different markets; we stayed focused. Where other digital wallets like Google Wallet failed, we won because we only focused on gift cards, despite inbound asks for credit and loyalty cards. Each swing has to be valuable in and of itself. Your company can achieve incrementally and postpone end-goal gratification, but customers and partners must be rewarded with each swing. With Gyft, not losing money by being able to store physical gift cards digitally was an immediate benefit. Businesses that partnered with Gyft could ship products to customers instantly. All other features — from loyalty points to payment options — were enhancements. The same goes with Civic. Entrusting us with personal identification information will only happen as part of an equal exchange. So from the beginning, we’re offering free identity theft protection for life. Then the ability for third parties to safely verify identities. Once able to do that, customers will be able to transact securely and remotely. The final “swing” should allow people to engage and flex their civic rights. For founders, there’s a step that must be precede all applications of recursive product strategy: a sincere self-assessment of their motivations. As the initial muses and muscle behind a venture, founders must — if only to themselves at first — articulate what truly drives them. Survival, security, belonging, respect, self-fulfillment are all very valid reasons to build companies. 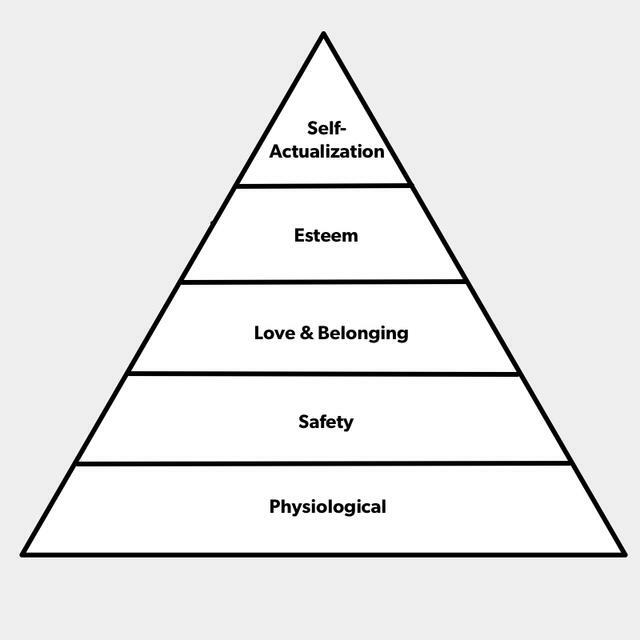 These motivations are captured in more current modern theories, but perhaps most famously articulated in developmental psychology framework Maslow's Hierarchy of Needs. To that end, there have been both serious and satirical applications of Maslow’s Hierarchy to the startup world. They intend to list the stages of growth for founders by motivation, ranging from the most basic to advanced motives. Reflecting on the companies I’ve founded, I’ve been on most tiers of the pyramid — sometimes a few over the span of a startup. Most serial entrepreneurs will be driven by most of the reasons on Maslow’s pyramid over their career. I’ve known first-time founders in pursuit of self-actualization and seasoned entrepreneurs building to get respect from peers. It’s not a ladder to climb, but a choice each time. It’s well known that, of the $180 million that Musk got from the Paypal acquisition, he put $100 million into SpaceX, $70 million in Tesla, and $10 million in Solar City. He had to borrow money for rent. Here’s a millionaire who chose self-actualization over meeting basic, physiological needs. Early on in my career, I was living in a hotel via a maxed out credit card because I had nowhere to live. When I started my first business, my goal was to survive in the world, not change it. So while Musk and I both borrowed to live at one point, we were doing it for very different reasons. The reason for founding a company is important — but what’s most critical is that entrepreneurs actively align to and abide by their actual motivation for the venture they’re currently leading. When building your company, think visibility, not just vision. How far ahead can you practically see? When I was a first-time founder bootstrapping a business, there were many times when I could only see weeks ahead. I aimed to think further out, but when you’re trying to make payroll, you have to make or save capital to survive, so you live in the short-term. This applies even more so to entrepreneurs in markets outside of Silicon Valley, where capital is a luxury. In my next business, I raised capital, could see about a year ahead and was thinking in months. More than a company, it was like a big project that had milestones because investors insisted on incremental improvements in order to get to the next tranche of capital. Essentially, the product was the company — they both shared the same lifespan. In my last company, we thought in years. It allowed us to focus not on revenues, but on user experience and retention. Our goal was to convene and serve a strong customer base. For that, we had to focus on building a great company — not just a great product — to develop a relationship with customers and evolve with them. We kept our burn low to extend our runway as far as possible, to ensure the flexibility and freedom we needed to focus on our users. The frame of reference for my current company is a decade. The horizon is that far out not only because we’re trying to create an industry — a new corner of a marketplace where people relate and transact differently. It’s no longer just the product, company or customers individually, but collectively — and we have designed our plan to be the unifying agent. It is the rare company that impacts generations that follow. They influence the way people-not-yet-born use products-not-yet-made in a future-not-yet-realized. It may seem more like science fiction in this realm, but there are founders that aspire to that type of of runway and horizon. They seek to influence a time that they may not be around to experience. In short, it’s less a hierarchy of needs, and more a horizon of needs. A founder’s early task is to not only define a vision, but also determine the visibility with which she can comfortably operate. A recursive product strategy involves backing into the first step needed to build a long-term company. That is why a founder must identify her motivation from the start in order to determine if long-term entails ten months or ten years. What drives a founder and the corresponding timeframe is important, but accurate self-assessment is paramount. Not every company or founder will choose to build for the next generation, nor are they guaranteed to do so even if they try. The more distant the horizon, the more there’s variability, such as market dynamics, competitors, new technology, fundraising cycles — the list goes on. There’s a rich canon of startup advice out there to navigate those factors. The offer of recursive product strategy is a way to build a company for the long-term. The trick to getting there is first to pave the right length of runway and back down it in reverse. And of course, as Musk said, don’t tell anyone.